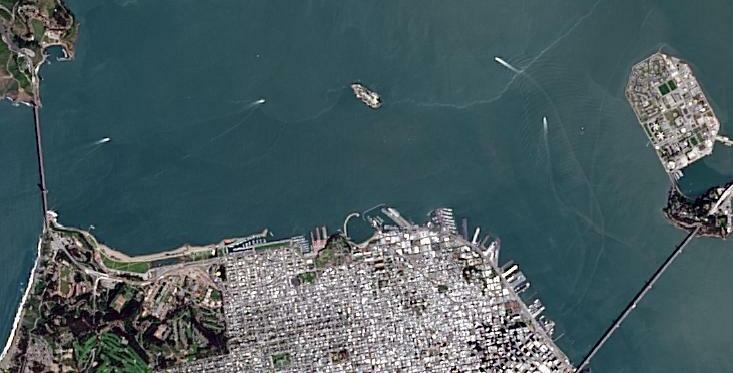 A vast amount of digital satellite and aerial imagery is being acquired by modern Earth Observation sensors every day. The real challenge is to analyse the raw imagery quickly, extract useful, actionable information with higher accuracy, and apply it in real-world decision making and applications. While there seems no short of image processing techniques and promises, conventional paradigms need to be critically reviewed and a mere data-driven approach is not enough. We develop accessible image analysis software tools and batch processing workflows, and make a contribution to this direction. We are developing a set of image spectral analysis routines that are specific to the latest and most popular open imagery sources, including the Copernicus/ESA Sentinel-2 and NASA/USGS Landsat-8 satellite imagery. An example of rapid image band combinations: Animated view of 336 band combinations with a Landsat-8 scene. 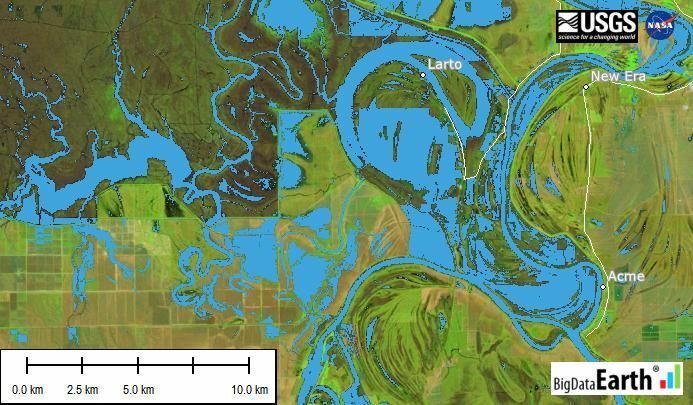 The March 2016 flooding in the U.S. South captured by Landsat-8 imagery. An example of automated classification of surface water areas (in light blue). LANDSAT_SCENE_ID = “LC80230382016080LGN00”; DATE_ACQUIRED = 2016-03-20. 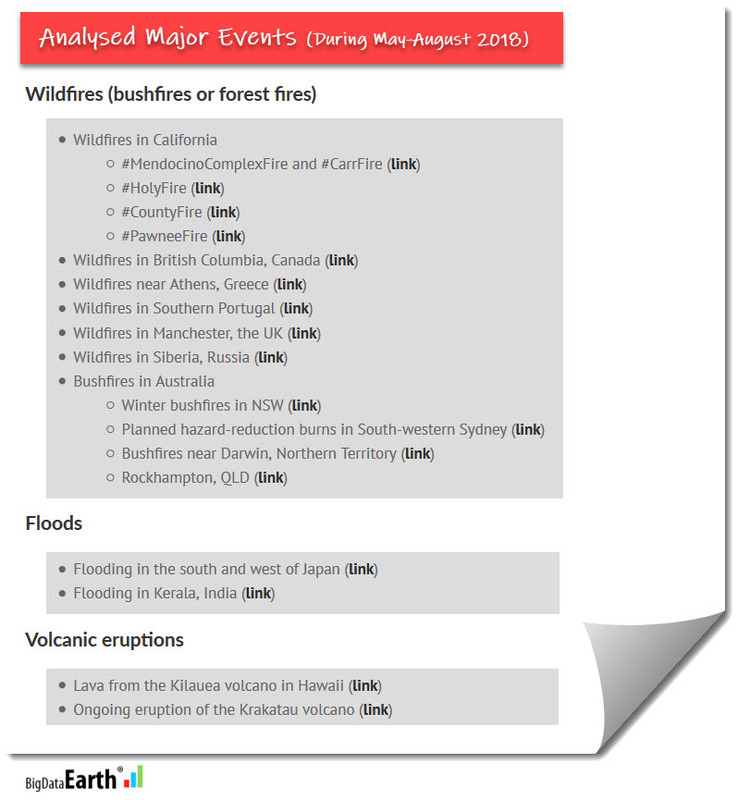 Short-wave infrared (SWIR) bands from the latest satellites (e.g. 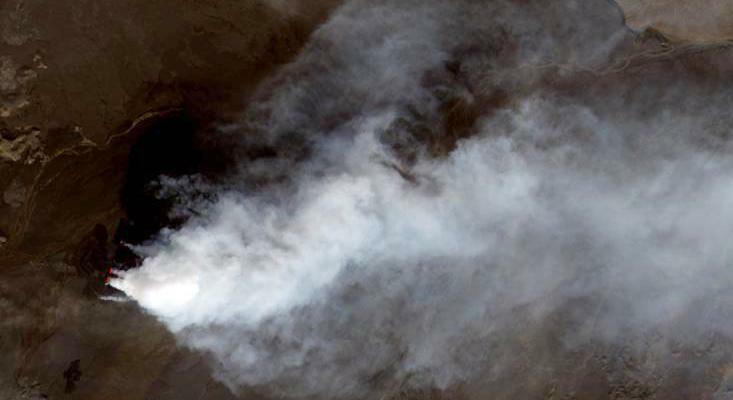 medium-resolution Landsat-8 and Sentinel-2, and high-resolution WorldView-3) are capable of detecting unique surface features invisible to the human eye and dynamic phenomena through heavy smoke. 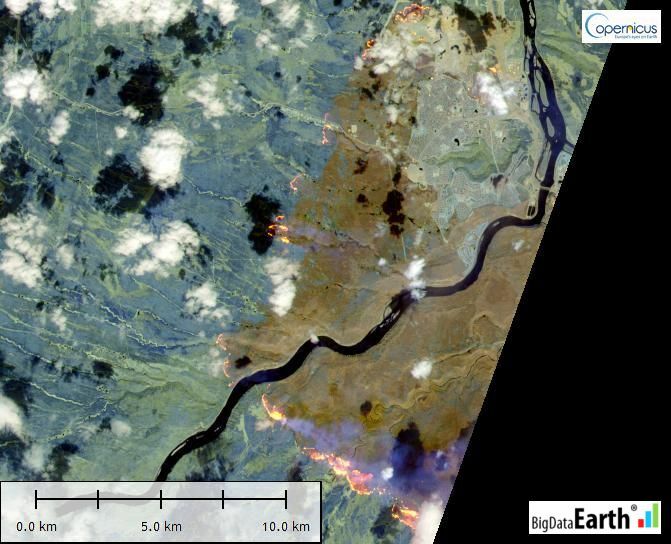 The May 2016 Fort McMurray Fire (Alberta, Canada) captured by the latest Sentinel-2 satellite imagery. Left: Natural colour imagery showing full smoke; Right: False-colour SWIR imagery. Raw data: download site; Tile name: 12/V/VH; Date: 201605-05. 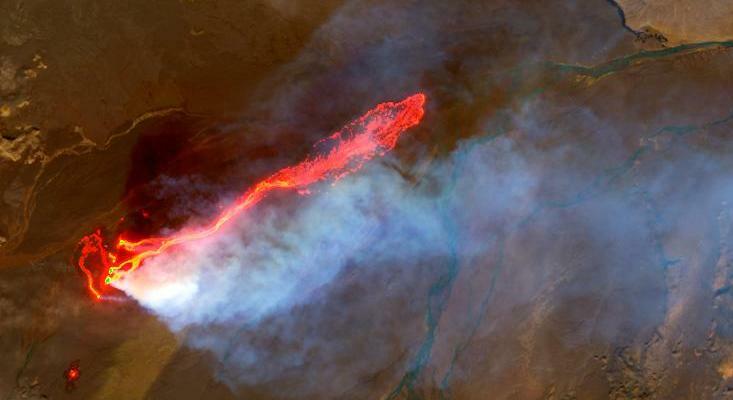 Detecting lava flows/heat through smoke using Landsat-8 imagery. Left: Natural-colour image with RGB bands; Right: False-colour image with SWIR bands. Location: Holuhraun Lava Field, Iceland. 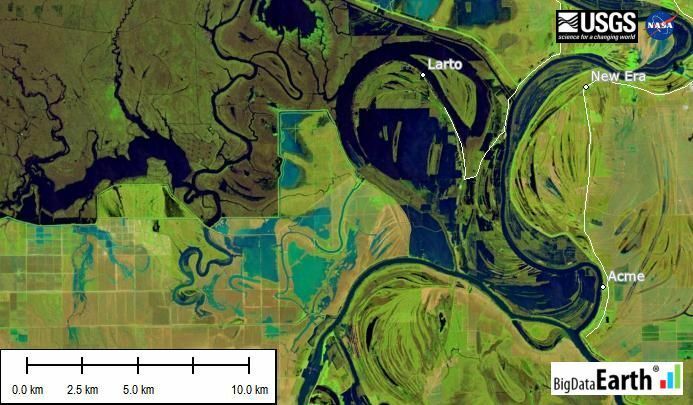 LANDSAT_SCENE_ID = “LC82170152014249LGN00”; DATE_ACQUIRED = 2014-09-06. After combining the spectral signatures of the multispectral input and the spatial sharpness of the panchromatic input, the best attributes of both inputs, the output imagery greatly assists image interpretation and visualisation. 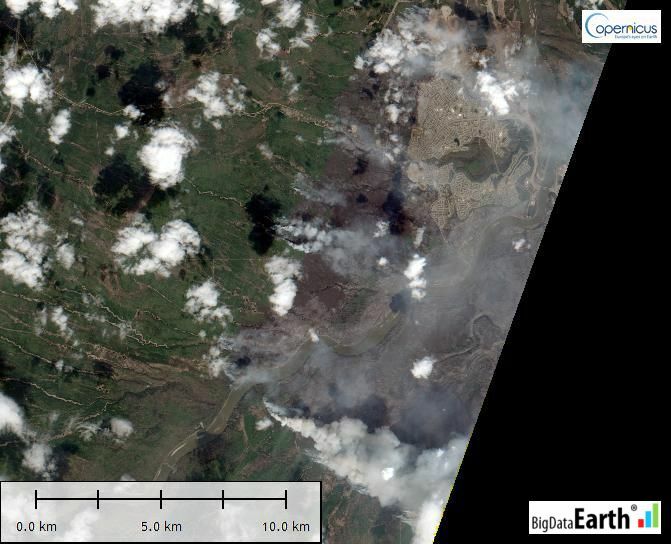 Pan-sharpening of Landsat-8 imagery from coarse 30m-resolution (Left) to very sharp 15m-resolution (Right). Location: San Francisco; Image source: Landsat-8; LANDSAT_SCENE_ID = “LC80440342013106LGN00”; DATE_ACQUIRED = 2013-04-16.